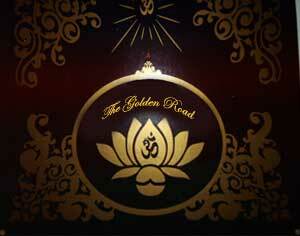 On a shady side street in downtown Santa Cruz, there is a bright little place called The Golden Road. 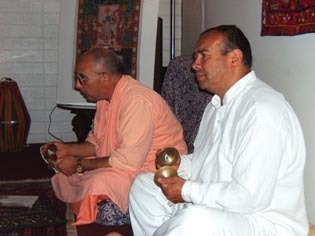 Inside, there are happy people chanting Hare Krishna and eating prasadam. 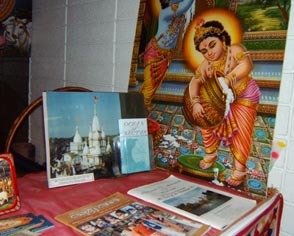 Upon entering, one first sees books about Krishna Consciousness, pictures of Krishna, and invitations to the preaching programs. 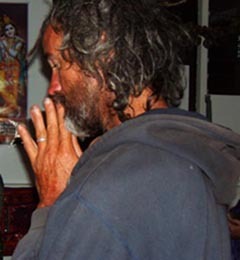 His Divine Grace, always present and always illuminating the entrance. 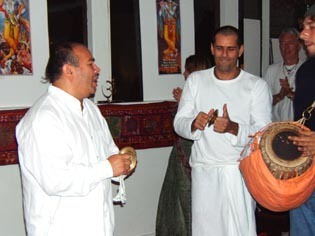 Every Friday night Sripad Janardan Maharaj arrives at the center to preach, answer questions, and sing bhajans. 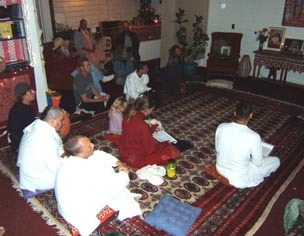 Several guests and devotees listen to the lecture and help with prasadam distribution. 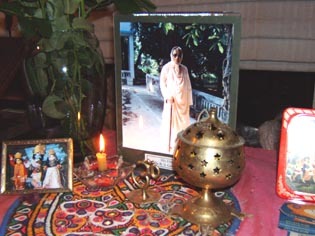 Laksmipriya Devi Dasi with her daughter Amalia. 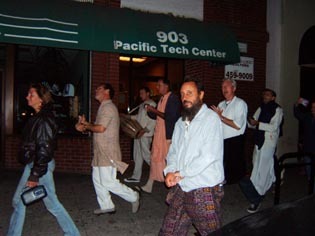 The sankirtan party gathers and walks down Pacific Avenue, the main downtown street. 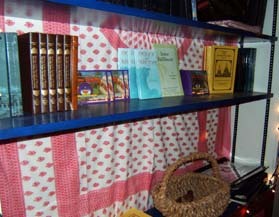 A few devotees grab books to distribute, such as Ocean of Nectar, Inner Fulfillment, and Original Source. 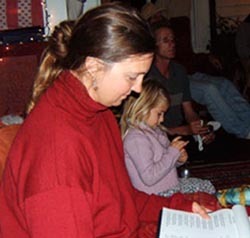 As we chant, we get different types of responses from people. 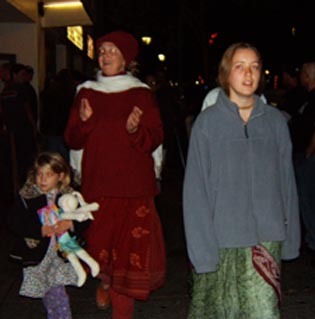 Some are attracted to the Holy Name and join us, while others run away. 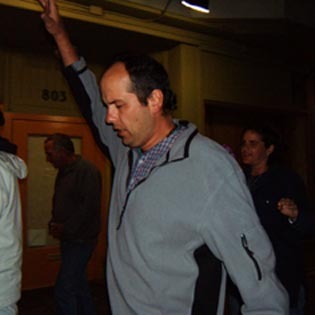 ...and our enthusiasm never ends. 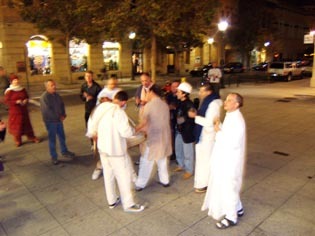 Pundarik Prabhu from Mexico hands out invitations until they are all gone. 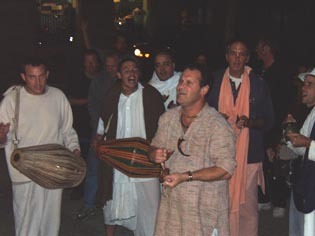 More devotees join on a large street corner.